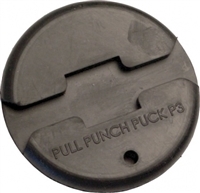 The High Performance J-Hooks are built with steel J-Hooks over-molded with polypropylene for an easy cable slide. 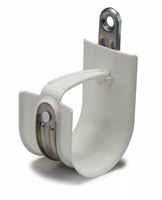 The “Snap-Lock” Retainer is easy to use and re-use, firmly securing cables every time and eliminating the use of cable and Velcro ties. 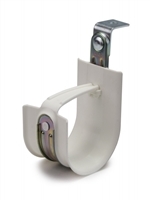 Each J-hook has a 2” wide base support, to prevent cable kinks. They’re cULus listed, Plenum rated, RoHS compliant, and are available in 1”, 2”, 3”, and 4” sizes, along with a variety of hardware accessories for all of your cable management needs.